The things we collect over the years are important. They remind us of our loved ones, family members and friends. While some look at your possessions and see a pile of junk, you see a lifetime full of stories. Saying goodbye to those things is never easy. It can leave you feeling emotional, anxious and distraught. That’s why when the time comes for you to declutter your life; you want someone in your corner that understands just how valuable those items are to you. RTM Cleaning Solutions is more than just a cleaning company. Whether it’s through junk removal, bed bug preparation or simply cleaning your home, our mission is to help you live a better, more organized life. We’re proud to offer services in Edmonton, as well as the cities of Sherwood Park, St. Alberta, Leduc, Stony Plain and Spruce Grove. We understand that it’s hard to let go of your things. Sometimes, though, it’s just necessary. That’s why our process is courteous, respectful and considerate of your feelings. Hoarding is the persistent difficulty discarding or parting with possessions, regardless of their value. 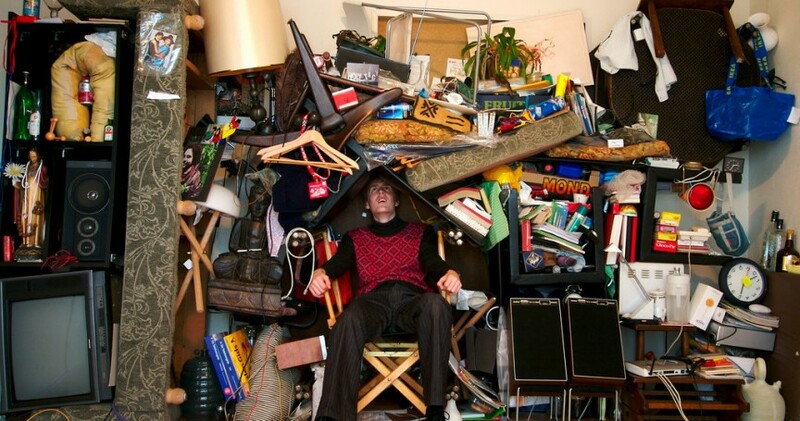 Hoarding behaviour can take its toll — emotionally, physically, socially, financially, and even legally — for both the person hoarding and their loved ones. Hoarding isn’t easy to talk about. It can leave those affected feeling isolated and alone. And with so many things in such a tight space, it’s even harder to know what to do next. How Can RTM Cleaning Solutions Help? Since 2012, RTM Cleaning Solutions has helped thousands of Albertans take control of their lives by removing the unnecessary junk from their homes. Our team of professionals appreciates how difficult the process can be. That’s why we do the work for you, so you don’t have to waste another second worrying about the next step. We do the lifting, cleaning, loading and disposing of all the items that need to be removed. All you have to do is make the first call. To book a free on-site consultation for residential junk removal, call 1 (780) 953-6683. We provide fair, affordable and transparent pricing. There are no hidden fees or costs and there is no obligation to book if you change your mind. Our goal with our home junk removal services is to help you remove the clutter from your life in an efficient and respectful manner. We make sure you are fully informed and comfortable every step of the way and we make every effort to preserve any salvageable items you may have. The RTM Cleaning Solutions process puts you and your feelings first. If you live in Edmonton, Sherwood Park, St. Alberta, Leduc, Stony Plain and Spruce Grove and need help removing junk from your home, give us a call. Clutter affects all our lives to some degree. Just because you have collected a lot of things over the years does not make you a hoarder. We have extensive training in a wide variety of situations and can tailor a solution that meets your specific needs. In some cases though, a cluttered environment can have more serious consequences. Occasionally, possessions can become infected with bed bugs, which can cause a number of health effects including, skin rashes, psychological issues and allergic symptoms.